We're sorry for the delay in releasing this episode. We had to run off to Vidcon and a few other things as you will hear in this episode. Where we're at so far: Carl gets shot by a stranger and we meet Hershel Greene and his family for the first time. Hershel tries to help save Carl but he needs supplies. Shane and Carl's shooter (Otis) go off in search of supplies. The clock is ticking as the fate of Carl's life lies in the success of Shanes excursion. Click the player above to listen to this episode. 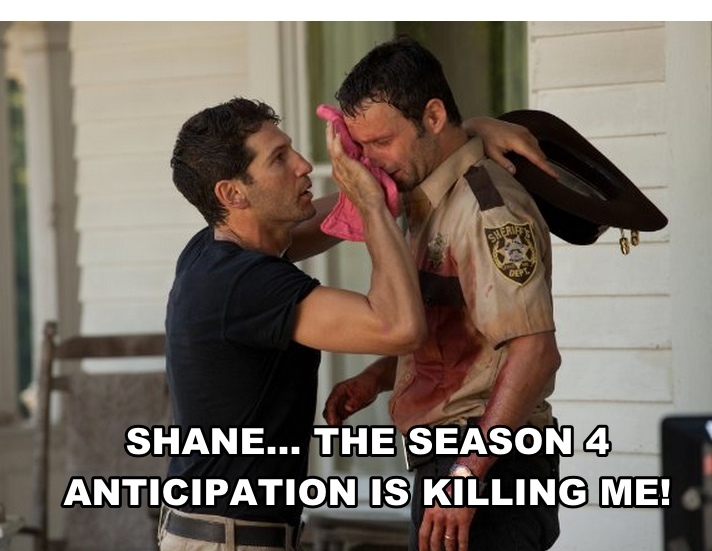 Shane, the season 4 anticipation is killing me!